South African Maritime Mobile Net, SA MM Net. Recognition for Alistair and the S.A. Maritime Net. History of the South African Maritime Mobile Net. First call for Winlink 2000 HF Winmor RMS stations. World wide MM Net Reach via IRB. I first heard from Tom & Sue Morgan by email about 6 months ago when Tom sent me an email informing me that they would be sailing from Salvador, Brazil to Cape Town with one crew member Chris Cadwell and that I should listen out for them. Our first ham radio contact was on the 3 February 2011 at 13:40 SAST at that time they were at 16South and 36West just to the South East of Salvador. conditions and giving them a 4-day wind forecast. broken forestay and asked if I could phone Associated Rigging in Cape Town and ask them a whole list of questions which he gave me. I asked Tom to stand by on frequency while I phoned them. To cut a long story short and after many phone calls back and forth to Tom and the riggers Tom had all the answers he needed. necessary repairs and due to the fact that they were in very strong wind and 4-5m sea swells, this was not going to be possible. 8 to 10 hours and that it would remain strong for the next 4 days. Tom at this stage was still hopeful and in good spirits. On the morning of 24 February I received an email from Andy, the Chief Radio Officer on Tristan da Cunha Island informing me that Tom "Spraydust" had requested assistance from him and that they required a rescue. When I called Tom at our usual time 13:40 SAST, Tom confirmed that they were needing an urgent rescue as the mast with out the forestay was under severe stress and they feared it may break. I asked Tom to stand by on frequency whilst I phoned the Maritime Rescue Coordination Centre (MRCC) to find out if they had received the request. anything else. I gave Mark all the yacht's information required to pass on. I called Tom and told him the status quo. And also give him an update on the weather, it did not look good. I arranged to call him again at 14:30 to give him an update. 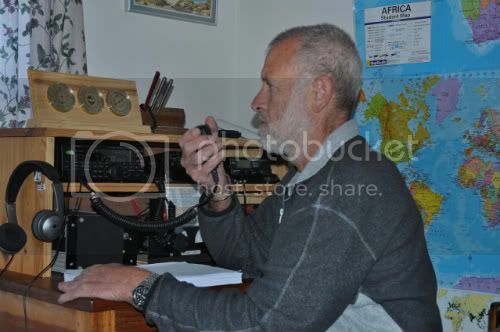 I contacted MRCC and told them when I would next call Tom and asked them to ask the Uruguay Military to call at the same time on our ham radio frequency so they could talk to Tom themselves. I emailed Tom's position to the MRCC and again asked them to ask the Uruguay Military to come on frequency at 20:30 SAST or 18:30 UTC. When I called Tom at 20:30 he sounded very tired, we called for the Uruguay Military and back they came. I stayed in the background while Tom talked to them and explained his problem, they asked him to come back on frequency in 1 hour's time. That would be at 21:30 SAST. I told Tom that I would also listen in at that time. After Tom had ended his conversation with them I called him and arranged to call him again at 10:30 SAST the next day. drifted back in to Brazilian waters and that a ship, Jag Lakshita, is sailing from their position to rescue the Spraydust crew. When I called Tom at 10:30 SAST I got no reply. Then I got news from Andy on Tristan that the Ship Jag Lakshita had picked up the crew from Spraydust and they were well. This was later confirmed by the MRCC. Jag Lakshita is an oil tanker and is now headed for West Africa. Thanks Andy ZD9BV Tristan and all for their help. South African Maritime Mobile Net. yourself trying to organize a rescue team. doomed to sail downwind and never land, just like the Flying Dutchman! The other problem was the mast was moving and liable to fall down at any time. So, a rescue was initiated through the SA Maritime Mobile Net. The MRCC system took over and we were picked up very shortly by the tanker Jag Lakshita. They are treating us wonderfully. whole radio station on board. We will have to start up again (number for the bank etc. all lost in the transfer). Will be in touch as soon as we get back to civilization. 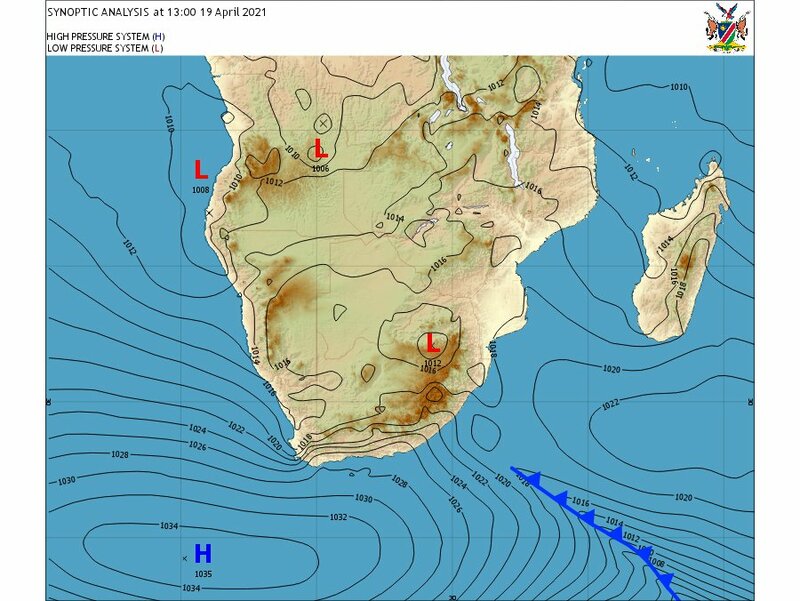 more yachts came on frequency and, following a request for weather information, a twice daily Net was set up at 06h30 z and 11h30 z. In the beginning weather information was obtained from TV and the SABC. 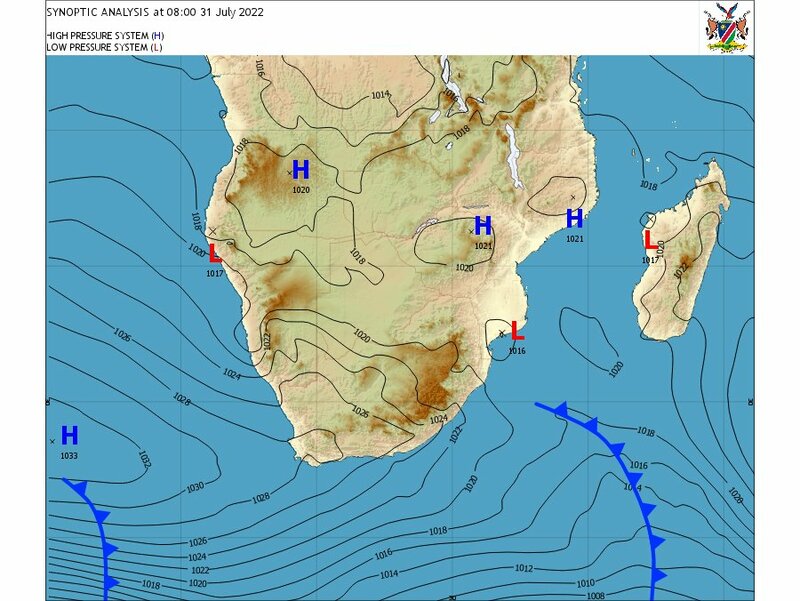 Alistair then contacted Durban Radio and we copied their daily weather broadcasts for shipping. Gradually our equipment became more sophisticated and today the internet enables us to get good, up to date information. We have also helped our yachting visitors by giving them information about the harbors they will be entering, places to find shelter along our coast and general local knowledge, which they find most useful. Over the years we have had help from many other Hams without whom it would have been extremely difficult, and at times impossible, to run an efficient maritime net. We have also liaised with other Nets particularly the Travelers’ Net in Australia, Art, VK6ART and Roy, VK6BO, and at one time with the Net run by the late 5Z4FZ, Tony, in Kilifi. When Alistair suffered a heart attack in 1995 and a stroke in 2005 the Net continued due to the unfailing support of our fellow Net members, particularly Graham, ZS2ABK. We have experienced tragedy, comedy, and romance. We have shared in the excitement of new babies, weddings, birthday celebrations and new yacht launches, have grieved over the loss of Net members and with our yachties over the loss of their dear ones, despaired when nothing could be done to save a yacht or a “man overboard” and rejoiced at successful rescues. Over the years we have got to know the MRCC (Marine Rescue Co-coordinating Center) very well and have built a trusting relationship with them which means that when we call for help for a yacht in distress they know that the information we pass to them is the latest and most accurate we can obtain. They in turn often contact Alistair, or Graham, for help in finding yachts or yachties. During the first two British Oxygen Company (BOC) Around Alone Yacht Races we assisted with communications and were hosted by Afrox in Cape Town when the yachts were in harbor there. Friendships made over the years with yachties and fellow Hams who have been part of our Net have brought so much pleasure and added an invaluable dimension to Ham radio as a hobby. We enjoyed a wonderful holiday to the Cape organized and hosted by our Net members who gave us such a heart-warming welcome. We have had the joy of entertaining so many delightful and interesting people from all around the World, which has greatly enriched our lives. Of course one does not look for recognition but it is always so rewarding when someone, somewhere, particularly one’s fellow hobbyists, pays tribute. Alistair received a Service Award from the American Seven Seas Association, a communications award from the BOC, an award from The Royal Cape Yacht Club and the Cruising Association of South Africa for his part in the amateur communications for the BOC race, The SARL Icom Excellence Award, the SARL Amateur Radio Community Service Award and a certificate of Achievement from the Durban Amateur Radio Club. These awards are sincerely appreciated and treasured.